The fight for immigrant rights is lifelong. Undocumented immigrants living in the United States often live with a mix of hope and fear — hope for citizenship, fear of deportation. For Lorella Praeli, that experience began at the age of 10, when she came to the US from Peru in 2000, seeking medical treatment after losing her leg in a car accident. She lived in the US without legal status until a few years ago, when she obtained a green card through marriage and became a US citizen in 2015. Praeli’s journey has not been easy — she stood out in New Milford, Connecticut, as a young Latina. She was bullied in school because of her prosthetic leg, and later on she unable to receive compensation for a fellowship in college because of her status. Throughout all of this, Praeli credits her mother for pushing her to reach her full potential in life. Today, Praeli is the director of immigration policy and campaigns for The American Civil Liberties Union (ACLU) in Washington, DC, advocating for immigrant rights, such as the Deferred Action For Childhood Arrivals, which is currently at risk of being ended by the Trump administration. If this happens, DACA recipients are at risk of losing work and education opportunities and even of being deported. In 2012, the Obama administration allowed individuals who entered the country illegally as minors with their parents to receive a renewable two-year period of deferred action from deportation that allowed them to receive a work permit and other benefits. Referred to as “Dreamers,” some 800,000 individuals enrolled in the program. They are working as doctors, researchers, and lab technicians among many other professional careers. Praeli is a former Dreamer and knows what it’s like to be in this precarious state. She began her activism in college, when she decided to make public her long-kept secret of being undocumented. For Praeli, the decision was liberating, a chance to finally reveal her plight. But it was also meant to support the broader cause of immigrant rights that she feels are far too often marginalized. 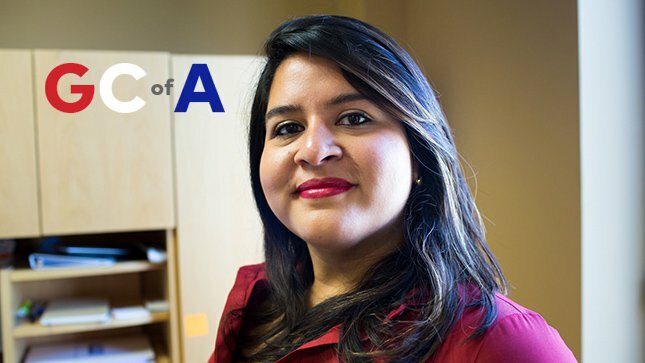 In 2010, she helped co-found a local organization with a group of undocumented students, Connecticut Students For a Dream, in her community to kick off a movement to organize for the Federal Dream Act. A year later, Praeli started working for United We Dream, where she was the director of policy and advocacy, providing training and experience to undocumented youth. Eventually, her activism brought her to the attention of major political figures. In fact, she helped convince former President Barack Obama to expand his deportation protection program to include the parents of citizens and legal permanent residents. Then in 2016, she became Hillary Clinton’s Latino outreach director raking in Hispanic voters during the presidential election. By this point, Praeli had gained a green card and then earned citizenship after marrying her husband. But even with her newfound legal protections, the uncertainty of being a Dreamer has trailed her. Her sister Maria benefits from DACA. She attends Quinnipiac University and works in the US, but these opportunities could be stripped from her if DACA ends. Similar to today’s young generation of Dreamers, Praeli recalls how difficult it was for her to find work. Without a driver’s license she would walk into restaurants unable to apply for a job. It led her to feel ashamed, resenting her family’s move to the US as a child. These hardships have shaped Praeli’s activism, giving her insight into the injustices faced by undocumented immigrants. And’s it’s because of this knowledge that she’s so adamant in her efforts today. Praeli and the ACLU are continuing to utilize every tool at their disposal from the streets to the courts and state legislatures to community gatherings.